OK, so, 2017 has been a weird, heartbreaking and thoroughly tiresome year, right? Like, I can’t be the only person who is fast approaching Dec. 31 quietly muttering, “2018 can’t get here soon enough,” am I? Perhaps one of the many contributing factors to my fatigue (and likely your fatigue too) with 2017 is the fact that it felt like everyone was breaking up this year. A ton of solid, “They’ll never split up!”-level couples suddenly pulled the rug out from under us over the course of the last 12-ish months, and honestly, it feels like we all got betrayed in a major way. Well, we can now relive that sadness all over again as we pore over the top 10 most Googled celebrity breakups of 2017. It was among the various and sundry most-Googled lists that came out earlier this week, and it might be one of the most depressing. That said, I’m pretty sure you’re not going to be able to guess who took the top slot. No, seriously; go on and guess. No? Can’t think of who it might be? 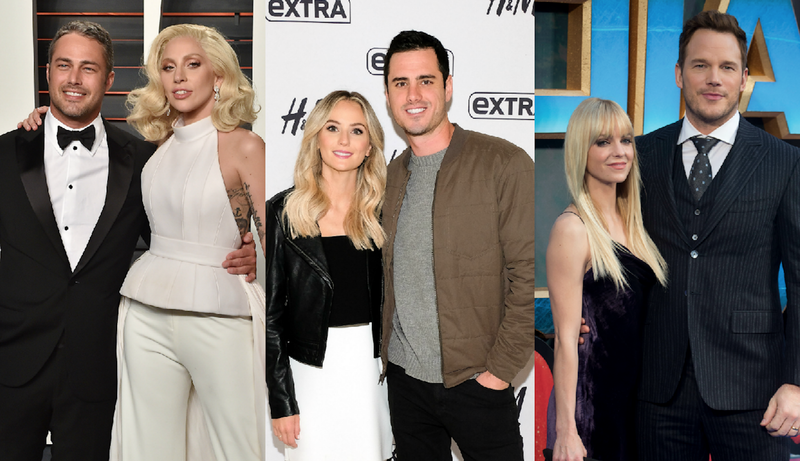 Well, it turns out former Bachelor Nation sweethearts Lauren Bushnell and Ben Higgins were the most Googled celebrity breakup this year. Just crunching the numbers, folks across this great land were more confounded and curious about this split than Anna Faris and Chris Pratt, Lady Gaga and Taylor Kinney and even Aaron Rodgers and Olivia Munn. Bananas, right? I know it’s still pretty early in the day, but I think I might need a little wine to wash down this very sad reminder that some of my favorite (and likely your favorite too) couples called it quits this year.